Windows play a crucial role in any house. They allow light to come in, provide excellent views of the street and property, and can even help save on energy usage. When windows start to get old and it is time to replace them, then you can save big by going with a professional window company. Chicago IL residents have a number of different companies to choose from. However, what company is the best? Ranked again and again by outside organizations and customers alike, Best Windows Inc. is a leader in customer satisfaction. Regardless of your windows needs, Best Windows Inc. will work with you every step of the way to ensure the best possible job. 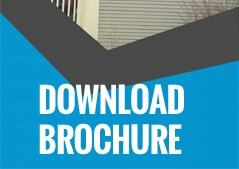 Lets take a moment to examine how Best Windows Inc. can help you. With more then 15 years worth of experience in the greater Chicago area, we have built up an understanding of what residents have come to expect regarding our high level of quality and professionalism. Installing and replacing windows, remodeling, and siding are just a few of the services we are willing to provide. Along with our hassle free anti-pressure sales techniques, we work to create an environment where you are not rushed and have the information you need to make informed decisions. With years of service under our belt, we are honored to be recognized in the BBB with a solid reputation. In addition, we have our Energy Star rating, as well as our most recent award as an Angies List Super Service Award for 2014. 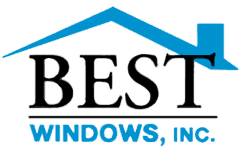 Here at Best Windows Inc., we understand that our company is only as good as the service we provide for you. That is why we work with a knowledgeable and experienced professional group to provide the best possible services to you. Transforming your old and hard to clean windows into models that are easy to clean and energy efficient, we strive to keep prices low and affordable. Because we are the owner, we save you money by eliminating the additional costs associated with commissions and sales. If you have any questions or would like to learn more, then please do not hesitate to contact us at (708) 204-2446. In addition, please look through our website. There you can find a more detailed explanation of what we do, as well as some reviews left by our past clients. You may also visit our website Bestwindows.net for more information about window company Chicago IL.